What can aviation marketers learn from a British entrepreneur? Sir Richard Branson has built an empire by delivering on the Virgin companies’ brand promise and exceeding customer expectations through a better brand experience. In the digital age, brands and brand organizations live under the microscope. Fulfill the brand promise and all goes well. Exceed the brand promise with a better brand experience and customers become advocates, putting their reputations on the line because they believe in the brand. Every brand organization relies on certain branding applications to reinforce what the brand stands for. Today it’s the power of social media and social platforms that surpass branding applications and highlight the creditability of the brand promise. Companies that have true product differentiation spend less money on advertising then those that don’t. When Virgin American began its service in 2007, it had a very lean marketing budget. Big ticket traditional push branding applications were bypassed for an integrated outbound and inbound strategy consisting of outdoor boards and social media because Virgin knew that no other low cost airline could offer the flying experience that they could deliver. From mood lighting when entering the cabin to interactive touch screen entertainment center in the seat backs to healthy food choices, Virgin exceeds customer expectations in every way. Virgin American has over 480,000 followers on Twitter, trailing American Airline by 45% – not bad for a small airline flying direct routes! One measurement of delivering on the brand promise is obtained through a Net Promoter® score (NPS). Developed by Satmetrix, Bain & Company and Fred Reichheld, the NPS is a metric that holds companies and employees accountable for how they treat customers. Customers are segmented into 3 categories: Promoters, Passives, and Detractors. By asking a single question – How likely is it that you would you recommend this business to a friend? – you can track these groups and get a clear metric of your company’s performance through your customers’ eyes. 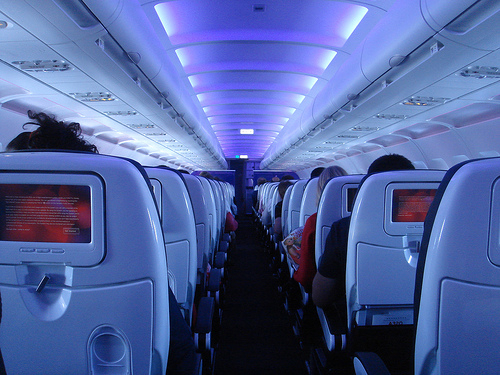 In the Travel and Hospitality category Virgin America captured the top NPS score of score of 66%. American Airlines trailed the sector with an NPS score of -5%. Delivering on the brand promise in the digital age is about storytelling. Give your customers a better brand experience and they’ll tell your brand story for you. ← Aviation Marketing: What’s your social media policy? Bailey Burk is a recognized leader in people-to-people marketing. People-to-people marketing engages decision makers, builds relationships, and creates an emotional connection and preference for your brand. Since 1990 he has helped hundreds of companies differentiate their brand and gain a competitive advantage in their industry. Contact Bailey at 214-953-0494 for additional information. Click to learn more . . .